It's not on the CTB calendar, but I thought it would be cool to share a fundraiser for the Cape Ann Brewing beer bus(?) at Audubon Circle tonight. I didn't dig to find what's wrong with the VW van -- still it could be a good time. For $10, you get a beer and appetizers and raffle ticket to win a beer bus party. Cheapness through Monday is on the Calendar. Bright Lights: "Far From Afghanistan"
Directors (and Emerson professors) John Gianvito and Rob Todd, who will be in attendence, compiled footage from the war in Afghanistan to give an alternate viewpoint from the mainstream media. Hopefully Matthiessen will speak extensively at this award program, because hearing a literary great speak is the main reason to go. Silent Film Classics: "The General"
Some consider Buster Keaton to be the greatest silent film actor for his amazing stunts and cinematography with sad-sack deadpan. Silent film expert Martin Marks is manning the piano for the live soundtrack. The last time I walked by Toad when Melvern Taylor & His Fabulous Meltones were playing, and it was packed. It seems natural to down a few pints and kicking back to the breezy, old-time acoustic swing of Melvern Taylor's ukulele with the Meltones chugging along. People love the ukulele power just about every other Thursday night. It's the Rumble, baby! And I hope Mount Peru is one of the bands in the Finals. 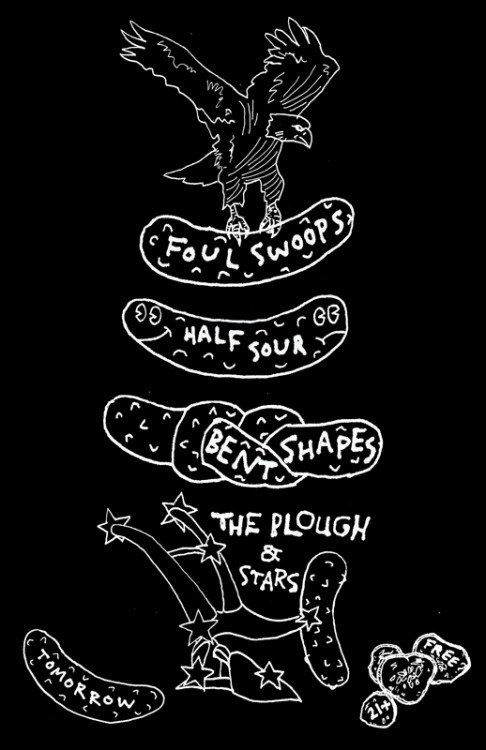 Your best non-Rumble option for fuzzy-scuzzy awesomeness is at the Plough with the most excellent Bent Shapes and Virginia's Foul Swoops.